…. these were scanned in using the printer scanner. I will try to get a better image with the camera… but in daylight. 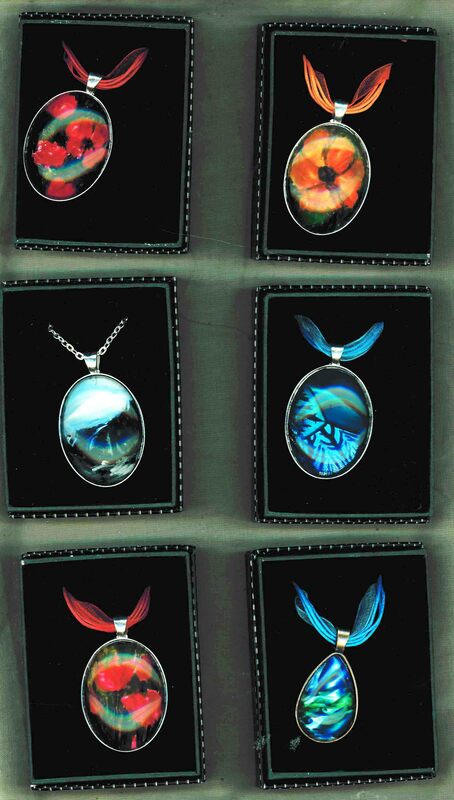 I have been scanning and coding my silk pendants to send to a gallery for selection of ones to purchase at wholesale price. Each is in a good quality finely made gold setting with the silk stretched over a domed metal insert. 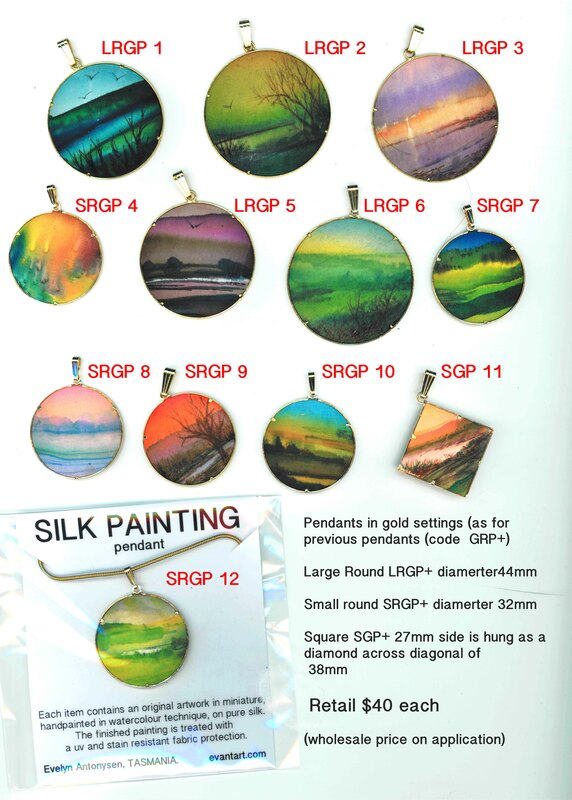 The original watercolour style paintings on silk are individually painted so each is an original artwork in miniature. I do not use anything to restrict the flow of the dyes as I love the serendipitous effect of watercolour technique. The finished paintings are fixed, then after mounting are treated with a uv and stain resistant finish.